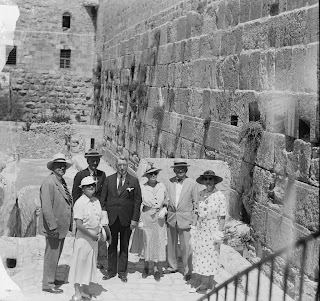 Congressional Visits to Israel Are Not New. Republishing this post in honor of the citizen lobbyists meeting with their elected officials during AIPAC's 2013 Policy Conference. April 1936 was the start of a vicious anti-Semitic and violent "Arab Revolt" in Palestine that would last through 1939. The murderous attacks against Jews, Jewish communities and Jewish property were widespread throughout Palestine. British government offices, banks and railroads were also attacked. Coming so soon after the 1929 massacres of Jews in Palestine and under the looming shadow of the Nazi threat, the attacks against Palestine's Jews alarmed friends of the Zionist movement. The British Mandate's policies were viewed as biased against the Jews. Rumors of a British threat to suspend Jewish immigration to Palestine were particularly worrisome. In July 1936, Secretary of State Cordell Hull cabled the U.S. 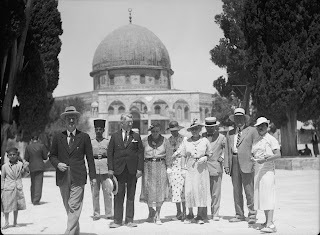 Ambassador to Britain, "It has been brought to the attention of the President by influential Jewish groups in this country that the British Government is contemplating the suspension of Jewish immigration into Palestine. American Jewish leaders fear that such suspension may close the only avenue of escape of German and Polish Jews..."
Hull instructed the ambassador to assure the British prime minister that he was only reporting on the concern of "influential Jewish circles in the U.S." and "not speaking on behalf" of the U.S. Government. 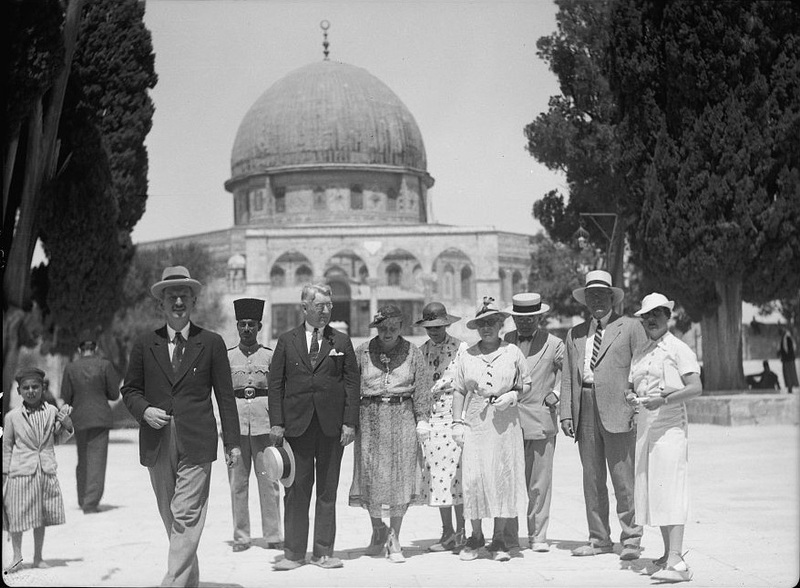 Condemning British proposals to partition Palestine as "outrageous," Senator Royal S. Copeland (Dem., NY) introduced in the Senate today a resolution asking the Senate's "forthright indication of unwillingness to accept modification in the mandate without Senate consent." Senator Copeland declared that the territory allotted the Jews in the proposed partition was insufficient to maintain even a small number of Jews and that establishment of a small Jewish state might result in a war between the Jews and the Arabs. The Jews are having a "terrible time" in Germany, Poland and Rumania.... At the same time he noted a "distinct animosity" on the part of American consuls abroad in granting visas to Jews, which, he said, showed discrimination. 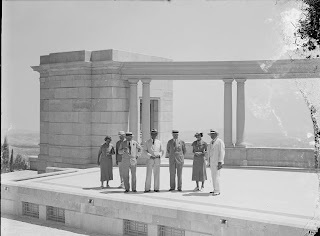 On August 22, the American consul general in Jerusalem cabled his Secretary of State to report, " A local committee of five representative Americans (leading Zionists) has been formed to meet the [Senate] party on arrival and has planned propaganda visits to Jewish colonies before proceeding [to] Jerusalem... [The] junket is designed to appeal to pro-Jewish propaganda.... The [British] Chief Secretary of the Palestine Government takes position on grounds of safety alone that the party cannot be permitted to tour country. With this I fully concur, particularly in view of present recrudescence of terrorism and especially as Zionists are sponsoring tour." Postscript: Senator Austin was appointed as U.S. Ambassador to the United Nations in 1946. On November 29, 1947 the UN approved the partition plan for Palestine, recommending the formation of a Jewish state and an Arab state. On March 18, 1948 President Truman met with Zionist leader Chaim Weizmann and assured him of the United States' support for Jewish statehood. On March 19, Amb. Austin announced to the UN Security Council that the United States no longer viewed the partition plan as viable. Truman wrote two days later, "The striped pants conspirators in the State Department had completely balled up the Palestine situation." The White House reversed the position taken by State Department Arabists, and Truman supported the formation of the Jewish state.